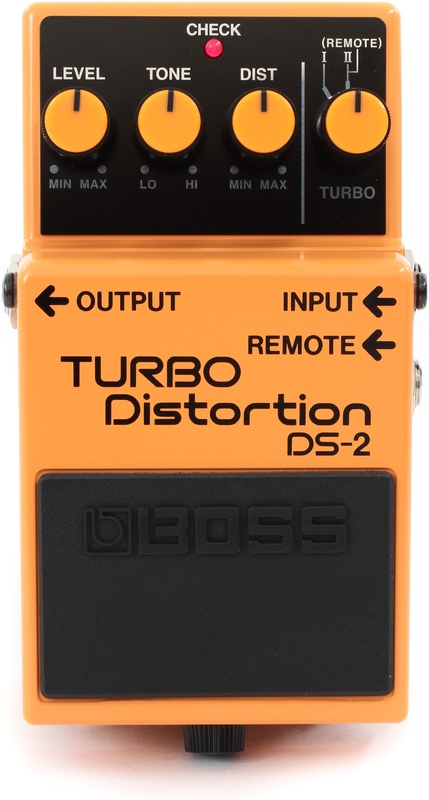 DS-2 TURBO Distortion, Distortion from Boss.
" Depends on the amp!" analog distortion with two modes (rather voicings in fact), the second being more medium than the first. 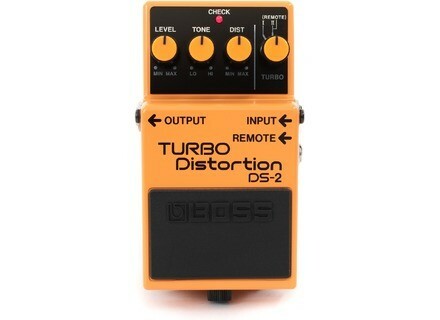 The orange distos boss and robust hull format pedal for guitar. As with its sister the ds-1, we find the same tone settings and gain level, the higher the selector "mode." Nothing to lose, and refining the settings you do get a satisfying sound (but do not worry, if you want an unsatisfactory sound is also very doable!) Station not ouviri pedal too abruptly, the Circuit held in little things, and you quickly end up with a loose connection! It can range from basic distortion, chemical or biting distortion, we reserve the pedal to the guitar, for the rest I think it will be too sharp and sour. Note that you can add a switch not supplied by bosses to switch from one mode to another (which can act as mediums to boost passages in single notes). For the price it works well we'll say. I used a lot at the beginning of my discovery of the distortion (my first real pedal anyway! ^ ^) I have tried many others since, rotten, the better, but it is in the middle of ranking, and for the price, there is not much to complain about. 9 years later it still holds up already, for me it's a good extra distortion.